GTR-388 is designed as a durable and multi-functional 3G GPS tracker. It integrates highly sensitive GPS module and 3G communication module with a powerful microcontroller that fits into a compact enclosure. 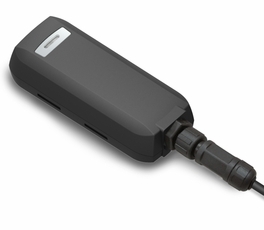 The device is capable of being waterproof and ideal for use in a motorcycle, golf carts and vehicles. It provides real-time GPS positions anytime and anywhere with an open view to the sky, and offers precise positioning, and reports vehicle status to the server with necessary information shown on the map. Benefits such as enhanced fleet management, improved vehicle safety, emergency response, are all accomplished through the implementation of the GTR-388 system. The built-in 3G and GPS antennas are for easy installation without hassle.